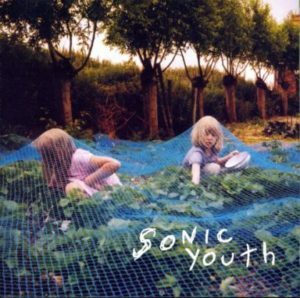 Back when I first reviewed Murray Street, I was familiar with only three Sonic Youth albums, two of which I owned. I eventually let the album go because it had been played to death during my shifts at Waterloo Records. I put a lot of pressure on myself to keep producing reviews for this site, and like any imposition, I eventually started making filler. A few tell-tale signs indicate how I struggled to get through that review. First, I defer to the opinions of other publications. When I do that, I know I don’t have a strong opinion of my own. Second, I openly confess to the limitations of my expertise on the band. Sometimes it works when I’m moved enough to write about a style of music with which I’m not familiar. In this instance, it was a cop-out. Murray Street found its way back to my collection only after I had developed an appreciation for the early-Steve Shelley era. I actually prefer Sister and EVOL over Murray Street, but I do like it enough to own it on vinyl. I stand by my description of the album in the review — it’s tuneful and somewhat restrained, compared to the distortion assault of Daydream Nation or the grime of Dirty. Something not mentioned was the fact I passed over the two albums preceding Murray Street. Waterloo had a policy where you could listen to anything in the store, of which I took advantage in the days before Napster. I heard enough of A Thousand Leaves and NYC Ghosts and Flowers to know I would like neither of them. That made Murray Street appealing by comparison.